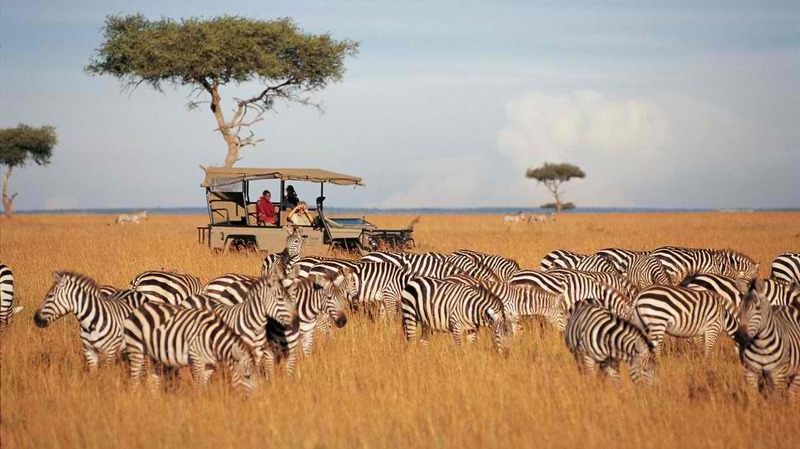 Maasai Mara National Reserve is Kenya’s quintessential safari destination. It remains the most visited safari, with rolling grasslands and scattered acacia woodland. Maasai Mara is among the best African safaris because it boasts effortless vistas and dramatic game viewing. It is home to the Big Five and large numbers of other wild animals and over 450 bird species. In fact, this safari is one of the best places in Africa to see lions in their natural environment. One the highlights in Maasai Mara is the Great Migration. It is the annual migration from July to October of millions of wildebeest, zebra, and gazelle where you can witness the animals stampeding across the plains in search of greener grass. Visiting Maasai Mara also offers the opportunity to encounter the local Maasai tribes in their bright red robes who live in and around the safari, coexisting with its wildlife. Kruger National Park the most famous of all South Africa’s many game reserves. 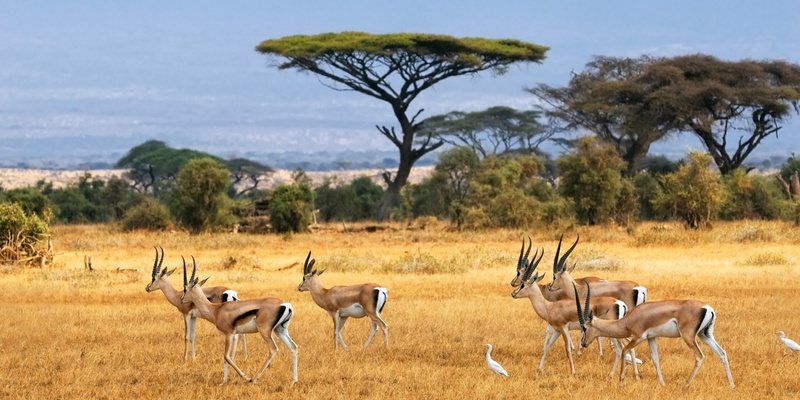 It is one of the best and oldest African safaris with the highest variety of wildlife. It is renowned as the easiest spot to see the Big Five and an unrivaled diversity of wildlife such as hippos, crocodiles, cheetahs, wild dogs, giraffes and numerous antelope species. Kruger is also the ideal self-drive safari destination. It is perfect for first-timers because Kruger offers a wide choice of accommodation options ranging from basic campsites to luxury lodges. 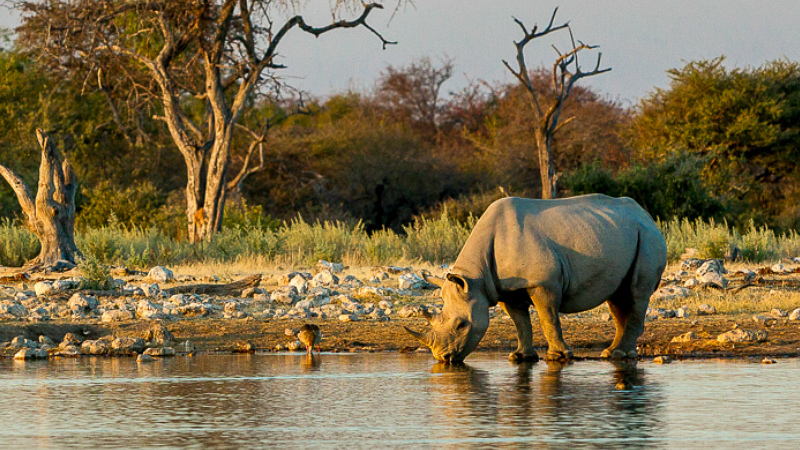 Etosha National Park is Namibia’s top game park and is regarded as one of the best safaris in Africa. Its name is from the large Etosha pan which is almost entirely within the park. It is home to some rare and unusual wild animals, such as the endangered black rhino, cheetah, and perennial springs luring the big cats. 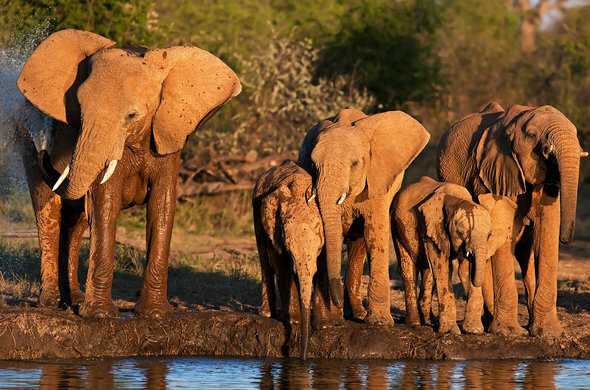 Etosha also is also home to Africa’s tallest elephants. It also boasts thick woodlands and lush grasslands which attracts plenty of game and birds. Chobe National Park in northern Botswana is one of the best African safaris. Park covers a diversity of ecosystems, ranging from arid plains and dry channels to fertile grasslands, dense woods, and watery swamps. It is home to some of Africa’s highest concentrations of game, with the region boasting the largest continuous elephant population in Africa. The safari is also a stronghold of endangered species such as wild dog, cheetah, and brown hyena Chobe Park is known for its excellent game viewing boat cruises along the Chobe River, which attracts plenty of animals and birds. 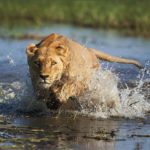 The best time to visit in Chobe National Park is in the months of April to October as herds of zebra, antelopes, buffalo, giraffe, and wildebeest gather at the banks of Chobe River to drink. 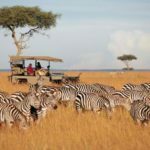 Serengeti National Park in northern Tanzania is a classical safari destination and is one of the best African safaris to visit. Serengeti Park makes for an unparalleled African safari experience of a lifetime because it is home to some of the biggest populations of mammals in the world. Serengeti is actually considered to host Africa’s largest population of lions. 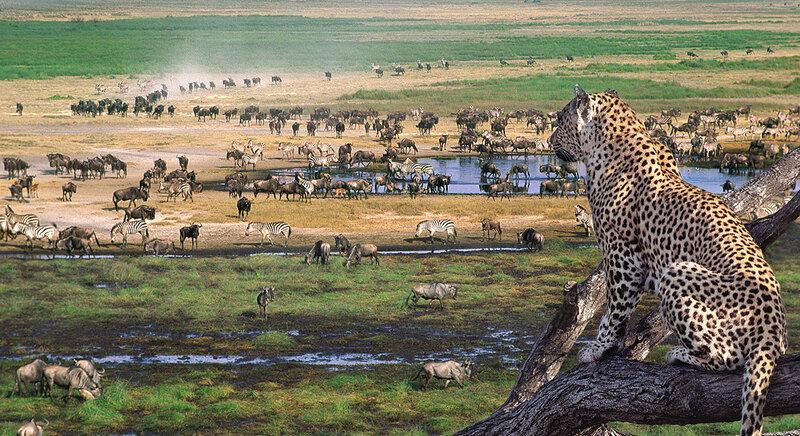 Like Maasai Mara, Serengeti acts as the main stage of the dramatic Great Migration where endless herds of zebra and wildebeest gather to graze, mate and give birth. Visitors will encounter fewer tourists on game drives in Serengeti than in some of the other top national parks in Africa. GeoSafaris was created to bring you stories from the wonderful sights and sounds of our African continent. There are so many different and remarkable things to be seen and adventures to be explored and these need a voice. We strive to find the best safaris from around the continent and tell their stories and how best to experience them for yourself.